Several years ago, Sienna moved from her hometown of Toastwood to the picturesque city of Portallini. Being surrounded by prickly Cacti most of her life, she had never experienced a true Autumn. A few months after her arrival in Portallini, she witness the trees burst into an array of vivid fall colors that were made even more amazing against the translucent blue of the canals. 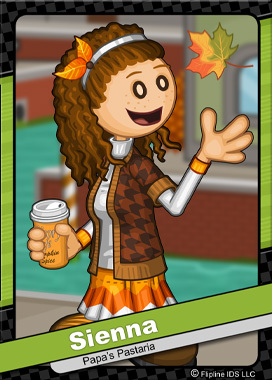 The aroma of pumpkin spice from Chicory Café wafted through the streets, and Sienna immediately fell in love with the season. Although she’s having difficulty making friends, she loves her new home.